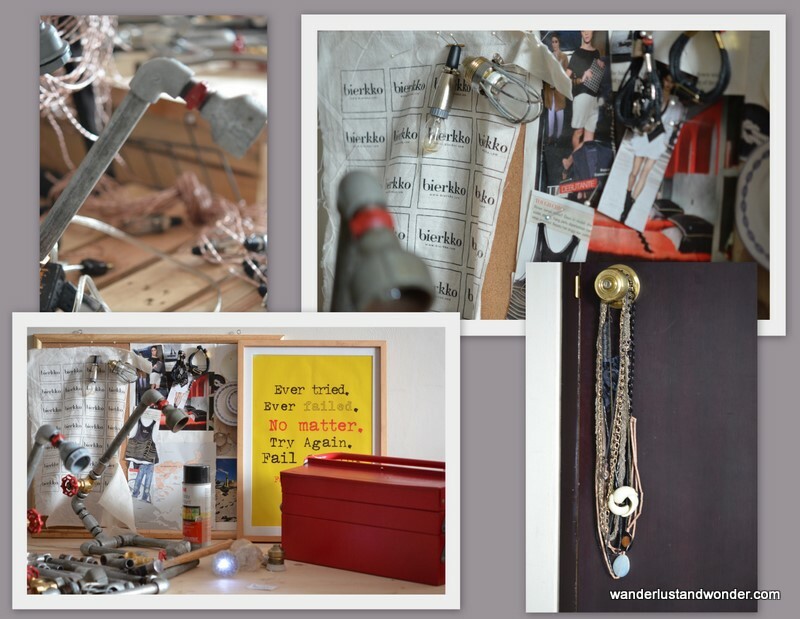 Recently I had the chance to sit down with the crafty masterminds behind Bierkko, to find out how they are able to turn ordinary objects into amazing finds. Bierkko is a team effort made up of two brothers (Trias Afiandy and Syahrul Mulia) and two sisters (Nevi and Yorika Rotorasiko) who share an appreciation of vintage objects and a talent for seeing aesthetic possibility in items that most of us would take for granted. Together they produce lighting and accessories with an industrial look and a vintage feel. 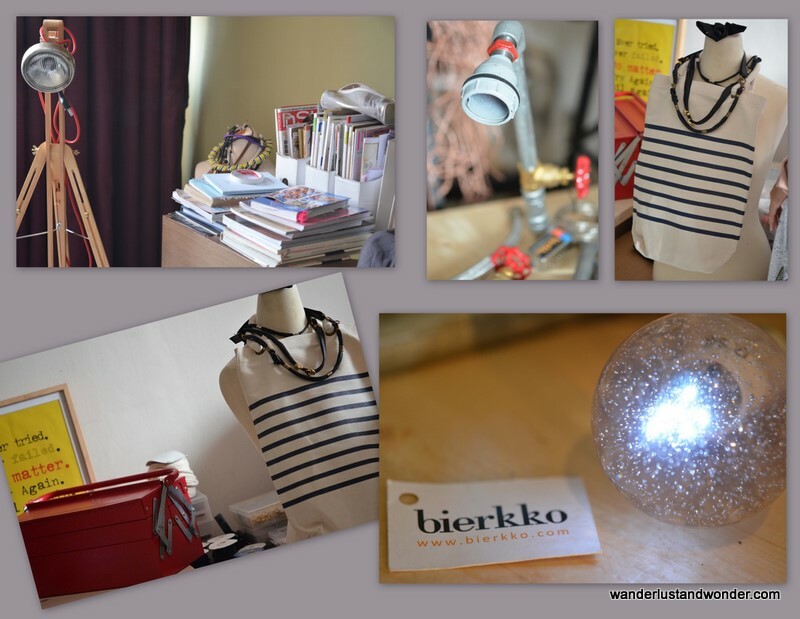 The Bierkko Team ☞ Sisters Nevi and Yorika Rotorasiko design the accessories. 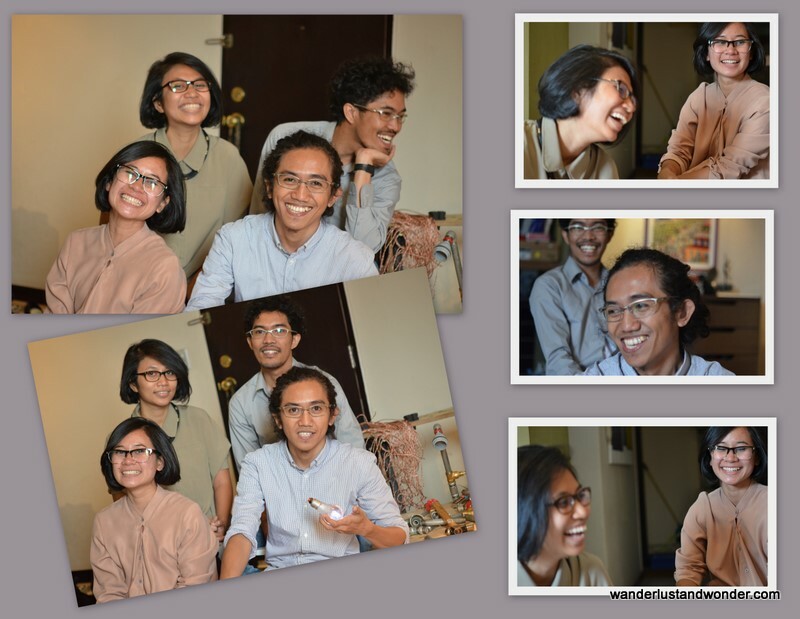 Brothers Trias Afiandy and Syahrul Mulia work on product design. Nevi describes their inspiration as stemming from, “Picasso and the philosophy that imperfection is perfection…we try to make something beautiful with something that people don’t see as beautiful.” You can see this creative exploration of materials in such pieces as their, “Nocturnal Hung” light where the lightbulb is protected by casing that was once part of a microphone, or their multifunctional “Ricter Table” in which the sliding table top sits atop of a safe (perfect for hiding those precious snacks!). Their work is playful yet astutely functional–a formula that has kept them busy with individuals and businesses alike keen to acquire their work. Sitting in their workshop, surrounded by their industrial parts and prototypes, it’s easy to see why the team is in heavy demand. Their bracelets and necklaces, created from clips, cord, key chain parts and even bolts and brass hinges are reminders that you don’t need great wealth to have great personal style. Just as their lighting fosters and edgy atmosphere, their accessories too create an air of industrial drama, that is at once charming and alluring. Since their inception in 2010 Bierkko has entertained considerable success, but Trias notes, “we’ve exceeded our expectations but we still have a lot of obstacles, as we make everything ourselves.” Nevi adds, “In the future we hope to hire people. It’s hard to create and manufacture products with just the four of us….plus we have day jobs.” But, even though the team is busy they still have their eye on the future and hope to one day expand into the realm of furniture and fashion. It’s a plan I hope they complete sooner rather than later as this team’s savvy use of material and well-developed sense of style is one I’m sure many will be eager to obtain. 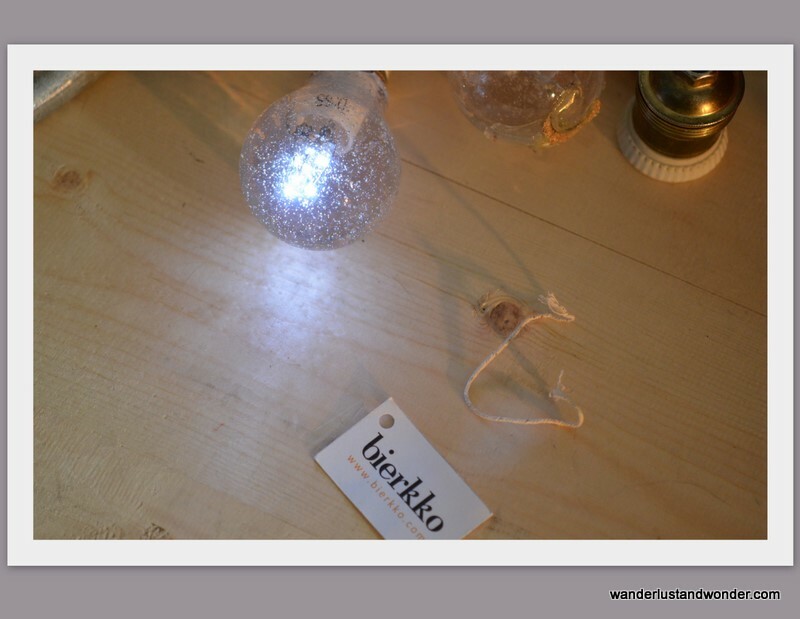 ☞ For more on Bierkko please visit…. How creative! It is wonderful to see people who are passionate about keeping their dream alive. An inspiring group. It was great that you covered not only the items produced but some insight to the personalities of the creators. Interesting article. Yes, 3 out of 4 or them have day jobs….they are unbelievable busy, and yet still manage to be amazingly creative too. Great taste of art! can’t wait to see one (or all) of your masterpieces in MoMA! !